The earliest memory of a Maharaja of Patiala ingrained in my mind pertains to the period immediately after independence of the country. Punjab was a picture of the life and limb torn apart by the wide spread communal violence in the wake of partition of the legendary land. My father, who had become a baptized Sikh a few weeks back - on 26th July and the ceremony costing Rs 7 and a quarter as recorded by him in the family record book called Vahie, was quoting passionately to friends the speech that Maharaja Yadavindra Singh of Patiala made at a public function in the neighboring town of Mandi Ahmedgarh. Father was profusely praising the grace and dignity and an extraordinarily taller stature of the Maharaja. He particularly described the drama how the stand of the mike (of those days) was not high enough and even the support of a stool and harmonium box could also not be of any help. Father explained how the Maharaja had taken the situation in good humor and began his speech joking that people of Mandi had never seen ‘the Lamba Jatt - the Tall Peasant - of Patiala’ before ! I can vividly recall what I, as a child of four, had heard my father quoting forcefully from the Maharaja’s speech, "… Hindustan and Pakistan are now two independent countries … Nawab Sahib (Mohammad Iftikhar Ali Khan of Malerkotla who, sporting a Patiala-style blue Pagri, was present by his side), his forefathers and the Muslims of the this area have enjoyed fraternal relations with the Sikhs and Hindus … we will provide them full protection of life and property and they will have all the rights as equal citizens of India … But those among Muslims who desire to go to Pakistan, their departure will be facilitated … and those Muslims who stay back must be loyal citizens of India … and must not entertain any secret love for Pakistan, this would neither be fair nor would be allowed …" Father further tellingly quoted the Maharaja, "Beware of those Sikh leaders who proclaim that Panth is in danger … Panth of Gurus would never be in any danger … it is the pockets of greedy and corrupt leaders which face danger" (pocket was indeed registered as one of my first words of vocabulary of English). Father remained a big fan of Maharaja Yadavindra Singh and had led a local delegation at the Bhog ceremony of his great hero in June 1974. I had come to know sooner that the Maharaja of Patiala had been granted an amount of Privy Purse of Rs 17 lakh per annum - and used to wonder how he would be spending this amount! 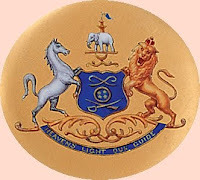 My father had joined the Government Service as a Vaidya at a salary of Rs 88/pm in 1957 and my own starting salary in August 1966 as a lecturer in the DAV College, Jalandhar, according to the much mentioned UGC scales was Rs 200+ Rs 40/pm as D.A. ! I remember that a text book of ‘Shahiriat-Civics’ prescribed in the fifth class pertained to history and administration of PEPSU. 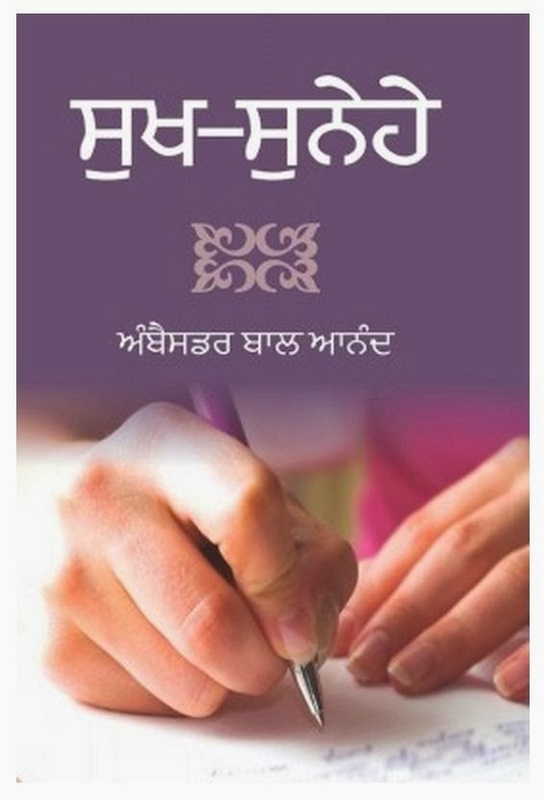 A poem titled, 'Sahib Kaur di Vaar – Ballad of Sahib Kaur' by Mohan Singh described bravery of sister of the inexperienced and spoiled third ruler of Patiala who led the forces in repelling the attack of Maharattas on the state in 1793. The book had a laudatory chapter about Maharaja Bhupinder Singh but students had very naughty things to whisper about him-even Khushwant Singh won’t dare to print them! Never take minds of the children for granted about the material to be included in the lessons of the text books! A photo or a sketch in a school book – I am talking of my school years in the fifties of the last century - did surely leave a most enduring imprint on young impressionable minds. A framed photo of all the nine rulers of Patiala in the one room home of our neighbor - a competent carpenter who, perhaps, had worked in the Palace of Patiala for some tome - remains clearly etched in mind along with all the names. 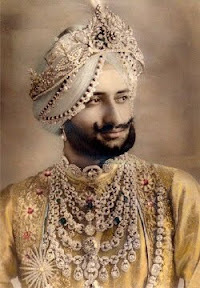 Maharaja Yadavindra Singh had remained a prominent personality in the public service of independent India as the Rajpramukh of PEPSU till 1956; as President of Olympic Association of India; leader of Indian delegations to the conferences of the UNO and serving as Ambassador of India to Italy and Netherland. I had long last the opportunity to see this magnificent man in February 1962 when he came to preside over the Annual Sports Function of the DAV College Jalandhar. To my great surprise, again adjusting of the mike of the loud speaker revealed the enormous difference between short statured Principal Suraj Bhan and the tall towering Maharaja-to the wild delight of students. We had later lined up on the G.T. road to steal another glimpse of the smart Maharaja driving himself his stylish Mercedes car, sporting wings of a plane! of Malerkotla, it was the grandeur and magnificence of the Sikh rulers of Patiala which was talked about in the family with pride and intimate emotional connection. The family lore and chronicles including the celebrated biography, in Brij Bhasha, of patriarch Baba Gajjan Shah (1734-1840) titled Gajjan Bilas clearly mention the closer spiritual relationship established with Patiala during the reign of Maharaja Sahib Singh (1781-1813).The family records further indicate grant of landed and urban properties to our ancestor by rulers of Patiala and Malerkotla as well as Maharaja Ranjit Singh. The developments in the government and administration continued to move fast in the first decade of independent India. The PEPSU was merged in Punjab in 1956 during the re-organization of the states in the country. The long drawn struggle for a Punjabi speaking state culminated in the creation of present truncated state in November 1966. Maharaja Yadavindra Singh contested and won election for the first time to Punjab Assembly as an independent candidate in 1967 provoking a subtle satire by Fikar Taunsavi to pen a column titled, 'A Maharaja versus Potato' implying that the former ruler, like the potato among vegetables, was ready to mingle with any party. Meanwhile Yuvraj Amarinder Singh had been commissioned in the Indian Army in 1963 and was married on 31st October to Preneet Kaur daughter of S. Gian Singh Kahlon, ICS. The politics of the shrunken Punjab had been assuming a new character of Congress versus the Rest with Akali Dal sniffing power as a leading political force. India’s decisive victory in Bangla Desh War in December 1971 enhanced the political prestige of Smt. Indira Gandhi and Congress regained power in Punjab with Zail Singh as Chief Minister. Amarinder Singh was first elected MP in 1980 from Patiala and, barring a brief interval during the peak of militancy in Punjab, the Patiala seat has been with the family. Meanwhile Maharaja Yadavindra Singh had opted to remain active in the public service at the national and international level, attending several conferences of the UNO He passed away on 17th June 1974 while posted as Ambassador of India to Netherland. Naming of the road leading to Embassy of India, the Hague, after his name. Yadvindra Public Schools to organize year long festivities/cultural programs. As for the former Chief Minister of Punjab-and the expectant Chief Minister - in-waiting - Captain Amarinder Singh, one would like to pray for him saying – Aapna Mool Pachhan i.e know thy true self. He must indeed prove himself a breed apart from the present species of politician in Punjab, parading as leaders but who are essentially ‘dealers’ - eager to sell down the drain whatever precious heirloom of the state their greedy eyes fall upon. The land and people are indeed cursed where the Representatives treat their election victory as ‘license to loot’ for five years! Captain Amarinder Singh must break himself free from the ‘Chakra Vyuh’ - vicious circle - of hangers on, particularly of the flatterers kind and the Khaki hue. The civil servants who have been privileged to function with him deeply admire his personal integrity, high intellect and right instincts - but these come out only in their one to one discussions. He has a historical role - a la Bihar - to make Punjab stand up and be counted as a promising player in the larger scheme of national developmental effort. He has to transform his party into a fighting fit unit free from petty factionalism - a Herculean task indeed but the experienced Captain would have to be strong and wise enough to prevail in the battle of ballot box due in months. year or national elections in 2014? I was told one of the most astonishing and baffling story in the palatial house in Tehran belonging to S. Rattan Singh Rangi, located in the vicinity of the Saadabad Palace of the Shahanshah. He was a respected businessman with family links with Patiala. I forget who the narrator was but the story ran as follows: "When the heir to the throne of Patiala was born on 7th January 1913, all the court Jyotishis - the learned futurologists of various disciplines - were summoned as per tradition … most of them predicted great goings for the newly arrived Prince … his extraordinary personality, wisdom and charm, achievements as a ruler, many worthy distinctions … but one of the astrologers, looking quite nervous, wanted to speak only to the Maharaja, in strict privacy … when it was agreed, he whispered in the ears of the proud father,’ O King, what my other astrologer- brothers tell you about the destiny of the Prince is quite appropriate and OK, but …, but, ahem, according to my interpretation of the various stars and the planets attendant at the time of Yuvraj’s birth … the great Prince is destined to die in a foreign land, doing a paid job !!!" When i was born, thirty years later, in a mud home in an obscure village of his kingdom, situated at a distance of 52 km from Patiala,no astrologers were summoned to predict my future: that I too would be destined to do exactly the same job in the far off lands as one of their tribe had predicted with trepidation, in a trembling voice, for Maharaja Yadavindra Singh, soon after his birth in the Moti Bagh, one of largest Palaces in the world!